This wonderful recipe for sugar cookies is a classic. It should be part of your Christmas cookie platter every year. Chilling cookie dough is an important step that most recipes leave out. During the time in the fridge, the gluten in the flour relaxes, so the cookies will be more tender. And the flavors can grow and develop in the dough. Don't skip this step for best results. You can even make the dough a few weeks ahead of time and freeze it. Let it thaw overnight in the fridge. And remember to measure flour correctly. One of the biggest mistakes bakers make is to add too much flour to cookie dough. Use a scale for best results; one cup of flour should weigh 120 to 125 grams. To make them into Christmas cookies, frost them with any buttercream frosting tinted with food coloring, and decorate using edible glitter, nonpareils, jimmies, and sprinkles. And don't be afraid to frost them with chocolate or peanut butter or caramel frosting! 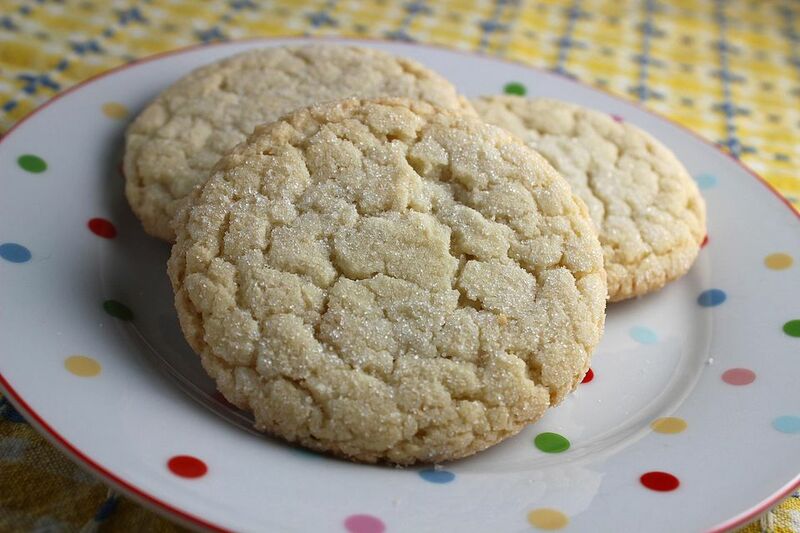 One of the best things about these cookies (aside from the taste) is how versatile they are. In a large bowl, cream the butter and sugar until fluffy and light; this should take about 5 minutes with an electric mixer, or 10 minutes by hand. Add the eggs, one at a time, beating well after each addition. Add the vanilla and mix well. Sift together the flour, baking soda, baking powder, and salt. Add the flour mixture alternately to the butter and sugar mixture with the milk, beginning and ending with the dry ingredients. Preheat the oven to 350°F. On a lightly floured surface, roll out the dough using a floured rolling pin to about 1/4" thickness. Cut with cookie cutters. Or you can roll the dough into 1" balls, place on cookie sheets and flatten with the bottom of a water glass dipped in sugar. Bake the cookies on ungreased cookie sheets for 7 to 10 minutes until they are very ​lightly golden brown around the edges. Let the cookies cool on the cookie sheets for about a minute, then remove to wire rack to cool completely. Store in an airtight container at room temperature.